In the period since independence in the 1950s, Africa has undergone profound social, cultural, economic and political changes. Disruptive and traumatic political and social crises have also occurred. These include civil wars, secessionist wars, famines, elite generated manipulative ethnicity and deadly intergroup conflicts, and recently home grown and imported religious terrorism and their destructive wars, spectacular damaging actions, the creation of refugees and internally displaced peoples and the generation of general feelings of insecurity. Social development institutions like educational facilities that barely existed under colonialism have produced millions of educated Africans as never existed before in African history. New physical infrastructures: roads, railways, water ways and airports have been built. This is a rough profile of profound changes in Africa since the 1950s. 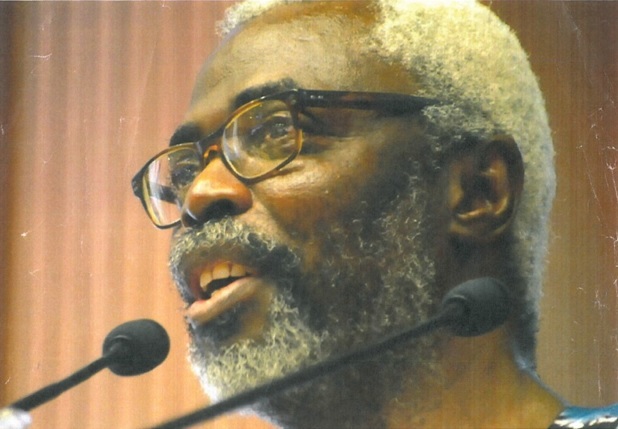 it is also true that there are some aspects of African realities that have not changed substantively or for the better during this period because Africa did not regain, recover or assert its ownership and use of its autonomous self-direction capacities in some spheres over the past six decades. These are primarily in the areas of economic sovereignty, development capacitation, self-actuated development and ideological self-direction. This failure is manifested in such conditions as persistent underdevelopment, the pre-eminence of primary commodities production and export in its economic interactions with the world, import dependency, development incapacitation and poverty generation. It is also manifested in Africa’s ideological subordination to external diktat through the acceptance and implementation of the economic management dogmas and prescriptions of the multilateral imperialist agencies – the World Bank, IMF and similar bilateral external agencies. These prescribed non-development dogmas include: privatization, deregulation and African states self-withdrawal from promoting socio-economic development and the simultaneous promotion of the ascendancy of “MARKET FORCES, FOREIGN INVESTORS, FOREIGN DIRECT INVESTMENTS and FOREIGN TECHNOLOGY TRANSFER ” as the primary and indispensable engines of African economic growth. This condition and its persistence over this period suggest that IT CANNOT BE RESOLVED WITHIN ITSELF. It has to be transcended by African strategies of psycho-cultural recovery and development capacitation. Psycho-cultural recovery will entail the self-conscious efforts of liberated Africans to peel off the layers of self-deceit, self-delusion, psycho-ideological incapacitation, diminution of African self-worth, self-marginalization of African agency in African development. It would also require the expurgation from African leaderships and elite of their worshipful dependence on outsiders and preference for all things foreign including pre-fabricated solutions that have been introduced into Africa as dogmas of disempowerment and mechanisms of control from the slave trade era to the present. In its various incarnations, African disempowerment was partially procured through various seemingly neutral but ultimately destructive external ideological constructs such as “Christianization”, “Islamization”; European “Civilization” during the colonial era; “Modernization” in the neo-colonial period after independence and its latest expression, as multilateral imperialist “globalism” and dictatorial globalization that ideologically and politically dictates a single, global capitalist and liberal democratic system as the only “approved” economic, political and social and order for all times. This would be composite world of the rich and powerful, and the weak and powerless with Africa at the top.